Like their peaceful and beautiful traditional town, the people of Chiraa in the Brong Ahafo Region are known to carry themselves very well wherever they are. They are never in the news for the bad reasons that continue to challenge the peace of neighbouring towns. In New York and Toronto, you would spot a Chiraa native by the way they walk; they put their best foot forward. Literally. You will find them at the UN, IMF and at the corporate heights of many multinational institutions. If you take a wander through Chiraa, you would wonder how a small growing town tugged on the fringes of cosmopolitan Sunyani, has produced some of the most intelligent people in Ghana, including Sakyi Opoku, a corporate highflyer in international telecommunications. Chiraa doesn’t boast of popular schools and modern libraries. It is not the choice destination for any ambitious young person aspiring for world class education. For the people of Chiraa, Sunyani Secondary School is often a wise target. It became a fad for brilliant young men who made fine grades in the GCE/SHS to travel outside Brong Ahafo to experience the superior education in Cape Coast and Accra. If the grades were excellent, they were too good for Brong Ahafo. They were considered outliers good enough for Achimota. When Motown failed them, they traced their steps back to Kumasi. When Ashanti Region rejected them, they came back home to share the same humiliation as overseas sojourners who had been repatriated home. 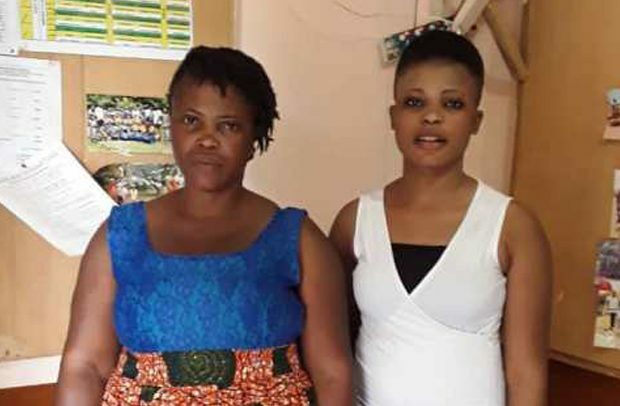 The story of Mercy Aboagyewaa Yeboah, the JHS graduate from Chiraa whose admission to Achimota made news last week, was impossible a few years ago. Mercy, a student of the Methodist ‘A’ Basic School, is reported to be the first female from Chiraa to gain admission to Achimota Senior High School. And Chiraa went agog. Mercy had aggregate 14 in the BECE examinations. Her headmaster, Stephen Owusu Asamoah, boasted that he guided Mercy to select the top school because he had confidence in her abilities. By Achimotan standards, aggregate 14 is a very poor result. We are not told whether Mercy recorded a grade 1 in any subject. If Mercy’s is the best that has ever happened to her school, then the people of Chiraa need not go gay, even if she went to Harvard. They should also be worried about the future of Mercy’s ‘less intelligent’ friends who may have recorded worse grades. Our educational system promises inclusion, but it is built to better cater for people who show better promise earlier in the day. We have left some of the finest talents behind because they failed an examination or didn’t have money to pay. The NPP’s free SHS policy has come to address these deficiencies by expanding access to less privileged students in unheard of territories, ensuring equity while improving the quality of education. It is what has made it possible for Aboagyewaa to join brilliant minds at Achimota. To promote equity, the policy reserves 30% admission to A list schools for kids from less endowed public schools who had relatively good grades. Good thing is Aboagyewaa doesn’t have to pay anything; all she needs is a good bath with any soap. We don’t know whether Aboagyewaa is on the Green or Gold track. Anyhow, 41 days separate the two tracks. When she goes to Achimota this week, some of her colleagues on the Gold track would wait at home until she comes back before they can also start. It is the double track system, otherwise called the shift cycle. The government says it is the antidote to the explosion in student numbers. The free SHS opened the floodgates to high school education and the numbers surged along. Naturally. So, Aboagyewaa got in quite easily, just like my mason’s son who successfully passed the BECE with the failed grade of 32. He didn’t seem worried because his friends with worse grades had been placed into their second and third choice schools. We cannot leave anybody behind, can’t we? The value of equity is that Aboagyewaa and the insurance boss’s son can look forward to quality high school education at Achimota. And who knows? Aboagyewaa may top her class if she studied hard. Like Aboagyewaa, I went to university from a high school whose name and location sounded like a veritable antithesis to scholarship. At Bodweseteco (Bodwease Secondary Technical College), we imagined Achimota as the haven for the most intelligent minds from rich homes who spoke impeccable English. During vacation when we became farm hands in the plantations, our Achimotan counterparts went to Disneyland and London for holidays. They came back with exciting tales of life in the snow while we compared notes about antelopes and yam mounds. We dreaded how we would fare when we met the Achimotans. What kind of English we would speak to them? At university, we found that while Achimota proved to be a much better institution than Bodweseteco, at least in terms of prestige and ‘attitude,’ the differences collapsed in the lecture halls where we slugged it out for aptitude. We even got some of their girls with our basic English but the exotic Achimotan needed some more convincing. By the second year, the Bodwesetecan had found his level and was ready to mingle. Aboagyewaa will be fine. She has the support of the entire Brong Ahafo as their first Achimotan seed. Which brings me to an intriguing layer of nuance in this matter. My best friend of 32 years, Sakyi Opoku, and her sister, Yaa Manu, another intelligent Chiraa native, may not be very happy about the near bonfire celebration of Aboagyewaa’s Achimota breakthrough. It reinforces a certain worrying stereotype that Chiraa is a village. It is not. Sakyi and Yaa Manu did not need to go Achimota to excel in their careers overseas. They attended the same secondary school as Ignatious Bafour Awuah, the current Minister of Employment, and Kwasi Ameyaw Cheremeh, Majority Chief Whip of Ghana’s Parliament. Sunyani Secondary School has produced other fine scholars who are doing great in their professions. Chiraa should learn to celebrate the glory while it is still closer home.There is yet another layer of nuance to consider. The strategy behind the arrangement that sent Aboagyewaa to Achimota was never about high school glories. It is meant to deliver quality education to every Ghanaian child. For free. Despite the multicolored tracks, it is not such a bad idea to get more kids into school while saving poor parents the burden of borrowing to pay. Nana, come for your stone.